I like utorrent under WINE. I am using Xubuntu on an IBM T22 with 256Meg of RAM. I dont belive uTorrent under wine is faster than Ktorrent. and would uTorrent with wine give you a tray icon feature? You forgot the terminal program 'rtorrent', which in my opion is much slower than utorrent but can be attached/detached via screen. "and would uTorrent with wine give you a tray icon feature?" personally wine works so aweful on my pc, (I have 256 MV ram) so because of that I never felt like trying a torrent client VIA wine. rtorrent is the best ever. 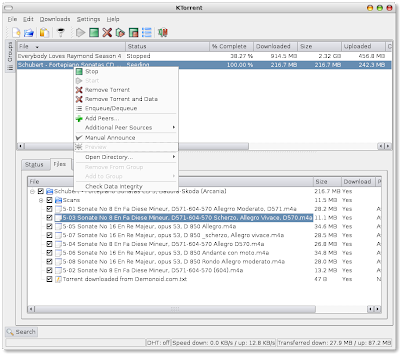 ktorrent does all uTorrent does, but I've never been able to get good download speeds with it. I second the vote for rTorrent. Definitely the most full featured client. Terminal only though (but it's still easy to use). For a more GUI type interface, I suggest BTG. Very pretty. Also has an Ncurses client. uTorrent is still the best Windows client... it works fine it WINE, but I still think the above two I mentioned are better suited to Ubuntu. 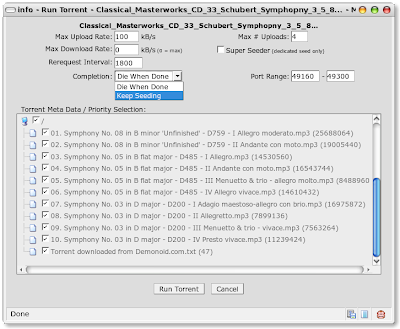 fantastic post.you have discribe so nicely all torrents applications.its nice blog post.